It’s getting cooler in the USA, not warmer. See discussion in Watts Up With That. Exit question: will all the people who signed onto panic stricken policy solutions to the non-existent problem of global warming recant someday? Or is the science so conclusive in their minds that they can afford to ignore the science? What, that last sentence didn’t make any sense? The science is “settled,” is it? I wonder if any of the prominent politicians, religious leaders, et. al., who climbed on the anthropogenic-global-warming bandwagon, because it seemed the popular and publicly respectable thing to do, will now recant. Maybe ask to have their signatures withdrawn from documents like this? Probably not. Better to just airbrush it out of existence by pretending it never happened. And, for future reference, people. The next time someone approaches you to ask you to sign a petition that basically boils down to a demand that government restrict freedom and redistribute more economic resources, just say no. Whatever the reason you’re given, however wonderful and well meant it sounds, don’t do it. If your knees get wobbly, find out who ELSE is for it, and ask yourself if you really want to be in that company, or associated with those people. A chunk of ice four times the size of Manhattan has calved from Greenland’s Petermann Glacier, scientists announced today. The last time the Arctic lost such a large chunk of ice was in 1962. “In the early morning hours of August 5, 2010, an ice island four times the size of Manhattan was born in northern Greenland,” said Andreas Muenchow, associate professor of physical ocean science and engineering at the University of Delaware. Satellite imagery of this remote area at 81 degrees north latitude and 61 degrees west longitude, about 620 miles (1,000 kilometers) south of the North Pole, reveals that Petermann Glacier lost about one-quarter of its 43-mile- (70-km-) long floating ice-shelf. Trudy Wohlleben of the Canadian Ice Service discovered the ice island within hours after NASA’s MODIS-Aqua satellite took the data on Aug. 5, at 8:40 UTC (4:40 EDT), Muenchow said. The new ice island has an area of at least 100 square miles (260 square kilometers) and a thickness up to half the height of the Empire State Building, which is 1,454 feet (443 meters) from the ground to the top of its lightning rod. 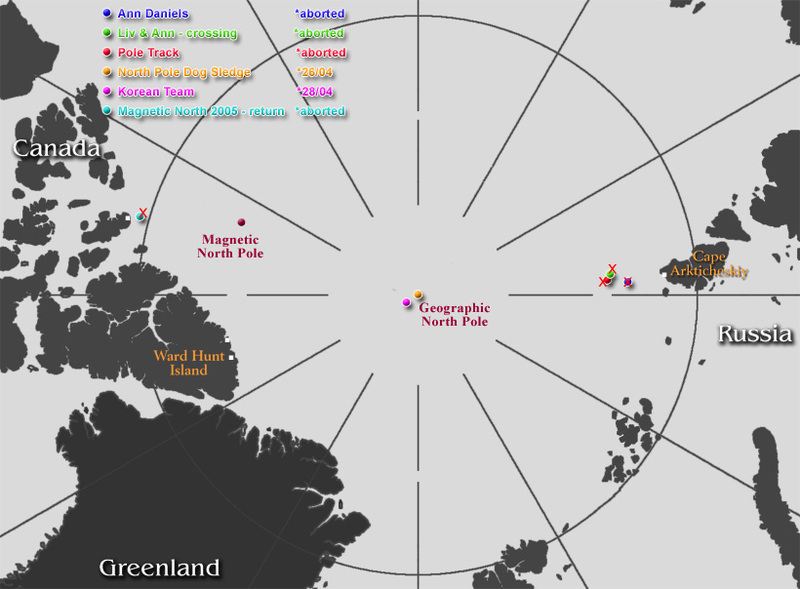 The island will enter Nares Strait, a deep waterway between northern Greenland and Canada where, since 2003, a University of Delaware ocean and ice observing array has been maintained by Muenchow with collaborators in Oregon, British Columbia, and England. The last time such a massive ice island formed was in 1962 when Ward Hunt Ice Shelf calved a 230 square-mile (600 square-km) island, smaller pieces of which became lodged between real islands inside Nares Strait. Petermann Glacier spawned smaller ice islands in 2001 (34 square miles, or 88 square km) and 2008 (10 square miles, or 26 square km). In 2005, the Ayles Ice Shelf disintegrated and became an ice island (34 square miles) about 60 miles (97 km) to the west of Petermann Fjord. In July, a chunk of ice the size of Manhattan fell off of Greenland’s Jakobshavn Isbrae glacier. On a related note – In January, 2006 Al Gore said we have ten years left to save our planet from a “scorching”. Since it has been almost five years since he made that comment shouldn’t we all be half-scorched by now? Or was that just a pick-up line used by Gore on his masseuse? It’s unseasonably cold at my house today, too. It snowed this morning, a little, very unusual for this time of the year. This is what passes for “leadership” in American Jewry. A kabuki dance is orchestrated by an Obama fan to gather other Obama fans to air the mildest criticism and to avoid challenging the factual representations of an administration that is the most hostile to the Jewish state in history. As one Israeli hand who definitely isn’t going to be invited to any meetings with this president put it: “They may be fine rabbis, but they are out of their league here.” And by not directly and strongly taking on the president, they are, in fact, enabling the president’s anti-Israel stance. It is, come to think of it, more than an embarrassment; it is an egregious misuse of their status and it is every bit as dangerous as the quietude of American Jews in the 1930s. Read Bonhoeffer: Pastor, Martyr, Prophet, Spy first, then read The Cost of Discipleship… again, if you’ve read it before, through the lens of knowing more about Bonhoeffer. Time to go to war? After all, Lincoln suspended habeas corpus during the Civil War. And Woodrow Wilson had at least 150,000 people arrested during WW I for “sedition.” So I guess Mr. Lovelock is in favor of incarcerating SUVs. And wood fireplaces. Personally, I’m in favor of incarcerating fraudulent scientists… but that’s just me. From reading the rest of the article, it sounds like Lovelock might agree. However, his notion that so-called experts should rule over the benighted masses, who are just too dim to understand the elevated mental process of the elite, is reminiscent of the Progressive era that gave us Margaret Sanger, Mussolini, and eugenics, or in a slightly earlier time the notion that the interior shape of the skull was determinative for intelligence. Lovelock’s continuing touching faith in the underlying science of global warming is probably forgivable in a man of his years, who does not want the last two decades of his life to have been wasted time. But whether or not HIS data is good, and fairly recorded and interpreted, is irrelevant. The fact is that the case for global warming was made up mostly of computer models and attempts to draw huge conclusions from subtle data changes flowing from the interplay of enormously complex variables, by a thousand different scientists who understood that the fix was in, and career advancement was in that direction. Does Lovelock think that the recent revelations represent the only fudged data, the only special pleading, the only career enhancing favorable interpretation (or, in this case, unfavorable)? In any case, Lovelock’s comment on the desirability of discarding democracy in favor of rule by the elites is exactly what many on the Right have been saying for some time, namely that the new home of international socialism is the environmental movement (a thing quite distinct from mere “conservation”, clean water, clean air, and the like). Based on who their fellow travelers are, I can’t disagree. From Canada, Russia has become used to seeing and hearing positions of sheer arrogance, unadulterated insolence and provocative intrusion. Take for example Prime Minister Stephen Harper’s declaration that Canada is “an Arctic Superpower” (what all thirteen of them?) and the idiotic reference by the Canadian Minister of Defence, Peter McKay, about Russian “overflights” outside Canadian airspace. How can you “overfly” outside? What these statements hide is Canada´s nervousness at the fact that international law backs up Russia’s claim to a hefty slice of the Arctic and that international law will favour Russia in delineating the new Arctic boundaries. Inside Russia’s continental shelf lie huge deposits of gold, diamonds, nickel, cobalt and copper. The immense importance of the Arctic to the Russian economy can be seen by the fact that 22 per cent of Russia’s exports and 20 per cent of her GDP come from products obtained from inside the Arctic Circle, where around 90 per cent of Russia’s hydrocarbon reserves lie. Canada, on the other hand, derives less than one per cent of its GDP from products which come from this region. Given that the permafrost covers 66 per cent of Russian territory, a dramatic change in climatic conditions could threaten all engineering structures in this region, considers Averyanov. Besides this, Yuri Averyanov considers that interstate conflict is a real possibility due to the new policies of allies of the USA in the Arctic in expanding exploration and research operations. Indeed, the possibility is referred to in the Russia National Security Strategy, adopted in Spring 2009 and mentioning the use of armed force and conflict over hydrocarbon resources. In the event of a showdown between Russia and Canada, it is obvious that Russia would win. Yet Canada is becoming more and more arrogant, feeling its back covered perhaps by Big Brother to the south. Maybe it is time for Canada to stick its nose into its own affairs and forget adventures which might bring it dire consequences. How about that? The Russians, of all people, referring to the USA as “Big Brother.” Anyway, since “hockey stick” global warming is looking less and less likely (not that it ever looked very likely), the Russians should relax. And in the worst case, both Canada and Russia will be so busy fending off rabid polar bears that they won’t have time to worry about anything else. It looks to me like Greenland has a better claim than Russia. Or maybe if Russia gets too uppity, the fine folk at Ward Hunt Island will mount a punitive expedition, using the massive Canadian navy. It’s worth remembering that Obama was the preferred candidate of Wall Street, and the industry gave to Democrats by a 2-1 margin at the beginning of last year. The top business donor to Democrats in 2008 was Goldman Sachs, and nearly 75 cents out of every dollar of Goldman’s political donations from 2006 to 2008 went to Democrats. Few can gainsay the investment, given how well Goldman Sachs has done under the Obama administration. It’s not just Wall Street. Obama led in fundraising from most big business sectors, according to the Center for Responsive Politics. Aside from the desire to back the winner, and the cultural liberalness of East and West Coast plutocrats, why did Obama get so much support from precisely the constituency he demonizes? Because it was good business. A host of big corporations bet that the much-vaunted Obama era would materialize. For instance, nearly 30 major corporations and environmental groups invested in Obama’s promise to force the American economy into a new cap-and-trade system via the United States Climate Action Partnership (CAP). Whatever the benefits of such a scheme for the economy and environment as a whole, these corporations, led by General Electric, were looking simply to cash in on government policies. GE, which makes many wind, solar and nuclear doodads that would be profitable under “cap-and-trade,” was poised to make billions if Obama succeeded in seizing control of the “carbon economy.” GE is still protecting its bet, but after the failure in Copenhagen, the “climategate” scandals and perhaps most significantly, that implosion of Obama’s new progressive era, several heavyweights — Caterpillar, BP and ConocoPhillips — have pulled out of CAP, with rumors that more will follow. There are similar rumblings of discontent within the ranks of PhRMA, the trade association for the pharmaceutical industry, which had cut an $80 billion deal with the White House last year for its support of ObamaCare, only to see the whole thing unravel. The lesson here is fairly simple: Big business is not “right wing,” it’s vampiric. It will pursue any opportunity to make a big profit at little risk. Getting in bed with politicians is increasingly the safest investment for these “crony capitalists.” But only if the politicians can actually deliver. The political failures of the Obama White House have translated into business failures for firms more eager to make money off taxpayers instead of consumers. That’s good news. The bad news will be if the Republicans once again opt to be the cheap dates of big business. For years, the GOP defended big business in the spirit of free enterprise while businesses never showed much interest in the principle themselves. Now that their bet on the Democrats has crapped out, it’d be nice if they stopped trying to game the system and focused instead on satisfying the consumer. Go back and read the title of this post. Then read this, to which I’ve linked before. Ignore the reviews, pro and con, and just take it on its own terms… and see if you can refute the history. I think you can’t. There hasn’t been a “free market” in the USA for sometime. The government’s power to tax and regulate, and to give tax breaks and regulatory exceptions, is the reason there is so much lobbying in the Beltway. It could not have been otherwise, once corporate taxes got high, and the regulation of business became one of the chief functions of government. The merry-go-round career path of government “service” to lobbyist, and often back to government “service,” is the biggest indicator of this. The essential role of a lobbyist in the modern world is to figure out who should get the money that the lobbyist’s principals have to donate. When big business couldn’t count on government to help it get captive markets, and to restrain competitors, it had to compete for consumers on the basis of price and quality. That’s why Rockefeller kept cutting the price of kerosene in the 19th century, not exactly an act of violence against the consumers of the day. It’s unfortunate that so many people still believe that we live in a “free market” economy and that “the market” is the cause for so much economic woe today. But we have had a “mixed economy” that often crossed the line into “crony capitalism” or just plain “state capitalism” (especially in time of war), for over a century. The government is by far the most responsible for our current economic mess. The lobbyists of big business (the johns) wouldn’t have any place to spend their money if politicians weren’t pimping themselves out. Those lobbyists are often the ones who write campaign finance law and regulations. It’s simple. If big business didn’t think it was going to get something out of it, why would it donate so much money to politicians? And more particularly, why did it give so much to Obama? Let’s hope that if the Republicans do get some power back, they don’t blow it this time.